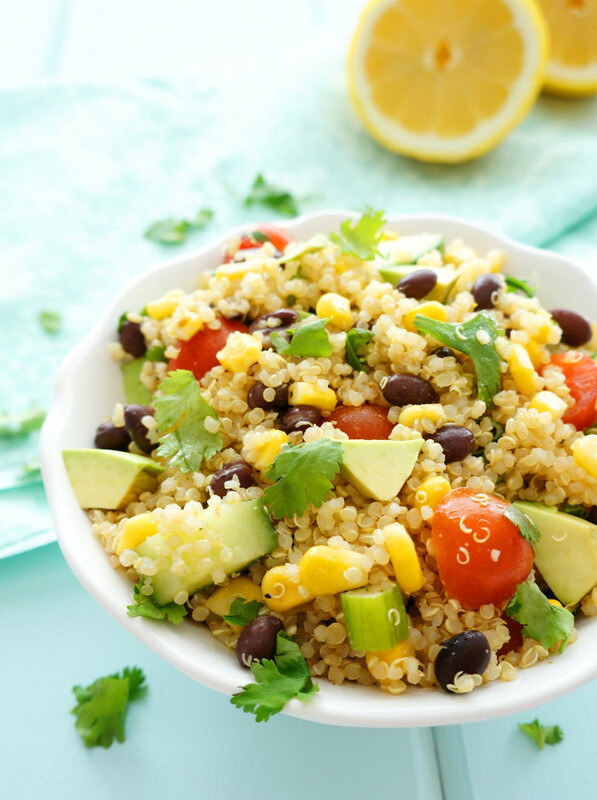 This vegan quinoa salad is bursting with southwestern flavours and makes the perfect healthy main dish or side! A great option for meatless Monday! Gluten-free, dairy-free & vegan. 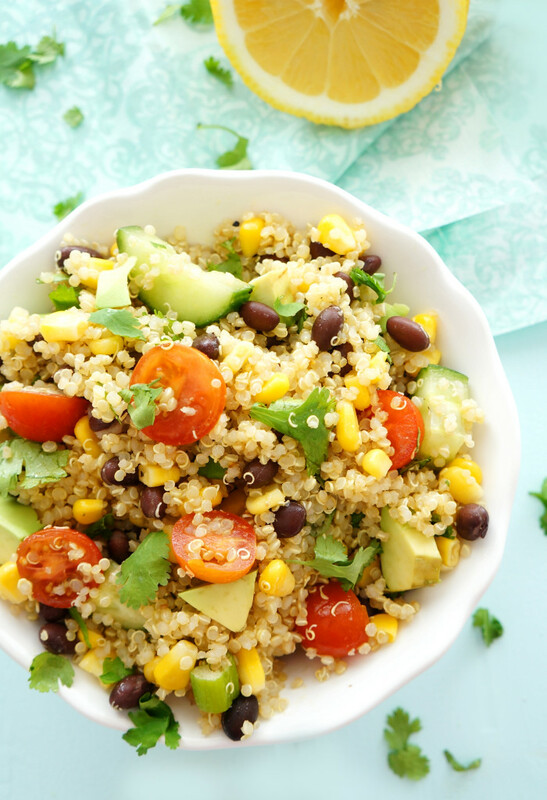 I absolutely love quinoa and I’m always looking for new ways to spruce it up! A few months ago, I posted this Asian Quinoa & Edamame Salad, which I eat on a regular basis, but I decided that it was time to experiment with some new quinoa salad recipes since I eat it so frequently. Lately my husband Matt and I have been basing a lot of our meals on a Mexican theme because we really enjoy the flavours. We decided to make each weekend a different cuisine to inspire us to try different recipes from around the world. It’s a great concept….except we keep doing Mexican over and over again because we just can’t get enough! So much for switching it up. One weekend, along with the rest of our Mexican spread we made this Southwestern Quinoa Salad. It was so delicious and refreshing…perfect for the warmer temperatures! With every bite, it just reminded me of summer. This salad is filling enough to be served as a main dish because it’s packed full of fibre and protein, but it can also be served as a side. It’s one of those recipes that you can make up and eat for several days, which is a huge time saving strategy and can also help keep you on track with your healthy eating goals. By having a healthy meal already made, you’re less likely to grab for the not so healthy convenience foods! 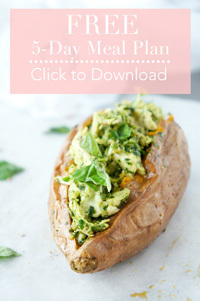 I always recommend trying to incorporate at least one meatless meal into the week, and this would make the perfect meatless meal option! If you have a chance to try it out, let me know what you think! In a small bowl, whisk lemon juice, olive oil, parsley, salt and pepper; set aside. In a saucepan, bring the broth to a boil; add quinoa and cumin. Cover, reduce heat to medium-low and simmer until liquid is absorbed, about 12 minutes. Remove pan from heat and let stand for 5 minutes. Uncover, fluff with a fork and let cool for at least 10 minutes. 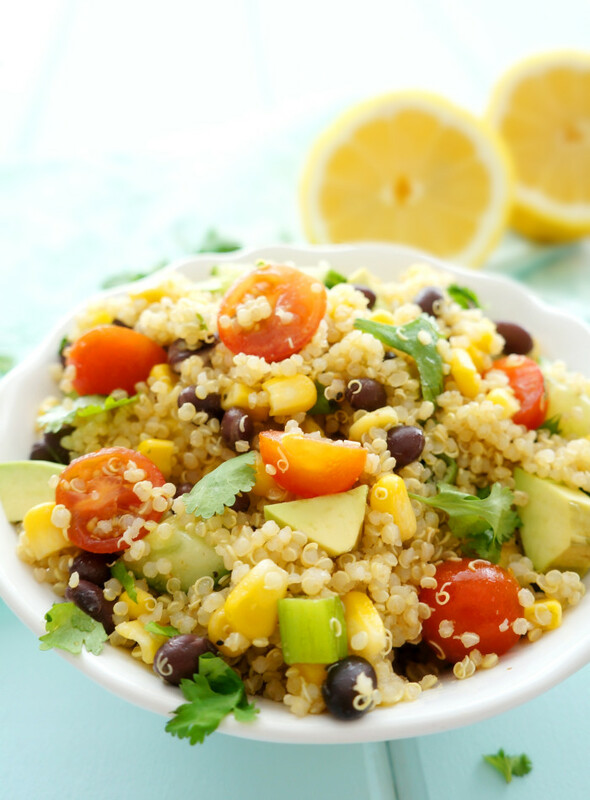 In a large bowl, combine quinoa, corn kernels, beans, tomatoes, cucumber, avocado and onion. Pour lemon dressing over top and toss to combine. Cover and refrigerate salad for at least 1 hour to allow flavours to meld, or up to 2 days. Thanks Abbey — makes a great summer salad!